Turkey has different climatic regions ranging from temperate rainy climate of the Black Sea Region, to the continental in the Central Anatolia and subtropical Mediterranean on the south. From west to east there are also considerable differences and contrasting climatic regions, with hot summers and mild winters in the Marmara and the Aegean region to the Eastern Anatolia with extremes of temperature where the winters are long with heavy snow fall. The flora and fauna of Turkey are correspondingly diverse. 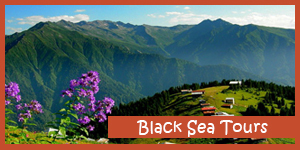 The flora varies from lush forests, steps to typical Aegean and Mediterranean vegetation. With nearly ten thousand species, Turkey is a botanical paradise. Turkey is on the migration routes of birds and there are a number of areas which are the natural habitat for many different species, including rare ones. Turkey has a historical heritage of successive civilizations from Hittites, Phrygians, Lycians, Lydians, Ionians, Romans, Byzantines to the Seljuks and Ottomans. There history of human kind has continuously added on itself, from the earliest settlements, to the contemporary Turkey today. Historical assets of past civilizations can be seen anywhere in Turkey from the big cities to smaller towns and rural settlements; from the mountain tops, sacred valleys to the sea bed. 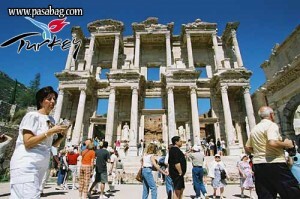 The settlement pattern in Turkey today, is more or less the same as it had been through the ages of history. Most cities, house the remains of successive civilizations side by side or one on the top of the other; where cultural values intermingled through centuries. 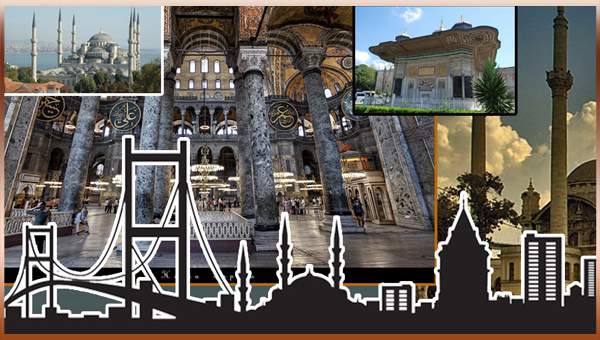 Istanbul, the city of beauty unmatched, proudly preserves the historical legacy of the three empires, and cultural treasures of inestimable value. This unique city of universal repute is the only one in the world situated on two continents. It is truly a city of wonders. 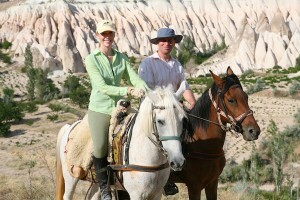 The Mysteries of Cappadocia by Kairos Travel. The region of Cappadocia in central Turkey is best for its spectacular lunar landscape, the result of repeated volcanic in the Tertiary period. Layers of volcanic deposits were subsequently eroded wind and water to form a series of interconnected valleys and ravines, dramatically punctuated by plateaus and strange, conical outcroppings. During the middle ages, when Cappadocia was an important province of the Byzantine Empire, it became a vibrant area of habitation, with hundreds of settlements, churches, and monasteries carved into the rocky landscape. More than seven hundred churches alone have been counted in the region, many of them preserving impresive ensembles of fresco decoration. Bringing together the best of the Tertiary and the Byzantine periods, the combination of scenic geological wonder and arcane art history has made Cappadocia a tourist destination of ever increasing popularity. The variations in volcanic activity lay the groundwork fort he present geomorphology. Eruptions produced different types of ejecta, which in turn determined the composition and dyrability of the rock, as well as the fertility of the soil. The two volcanoes in the region, Erciyes Mountain and Hasan Mountain (both known in antiquity as Mt Argeus), produced somewhat different landforms. In the area northwest of Erciyes Mountain, the Goreme Valley is almost exclusively compressed volcanic ash, which is fine grained and resistant but susceptible to erosiaon. Its curious landforms, including the so-called fairychimneys, are the result of a process of preferential erosion, through which the remnants of a denser upper stratum compacted and preserved the layers of compressed ash immediately beneath them, while the softer, unprotected areas of ash gradually eroded away. Below Hasan Mountain is western Cappadocia, however, much of the landform is harder and trachytic, composed primarily of ash-flow tuff (which flowed from, rather than was ejected from, the volcano) and alternating layers of ash. In many places a layer of nonvolconic limestone covers the surface, breaking away dramatically to form plateaus and deep valleys. The best-known area of western Cappadocia, the narrow Ihlara Valley, extends northward from the slope of Hasan Mountain near the town of Ihlara, to Belisirma and Selime. It is comparatively paradisiacal, composed of indurated ash on the valley floor, enclosed by steep cliffs ignimbrite. Because the stone cliffs are considerably denser than the underlying ash bed, the inherent instability has resulted in the undermining and collapse of the cliff face. 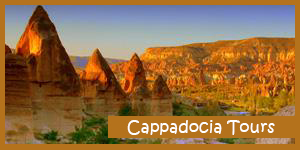 Kapadokya Travel provide Cappadocia Daily tours, Turkey package tours, Ephesus Tours, Hot Air Balloon rides, Horseback riding in Cappadocia, Turkey Rafting, Pamukkale Paragliding , Turkish Night Show and tailor made private tours. 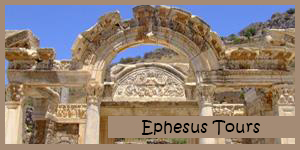 Kapadokya Travel based in Urgup and specialists of Cappadocia also Turkey package and private tours. 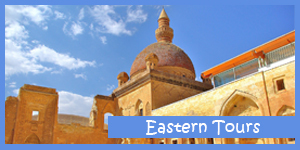 Kapadokya Travel is an incredible company who truly knows the value of customer service. 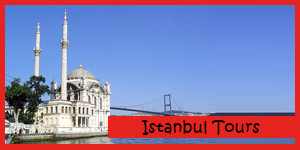 Please send us an email (info@pasabag.com) to get further information on any of your travel needs in Turkey.